When you buy a timeless item like a diamond ring you want to make smart purchase. Schedule an appointment with one of our certified diamond graders for unbiased fact-based guidance on your future purchase. 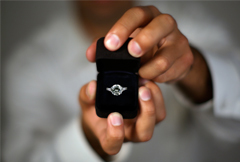 Our graders can help you find the perfect diamond for your perfect person to jump start your perfect life. Purchasing diamonds for investment purposes is tricky and nonviable when sourcing the diamonds through jewelers. When diamonds are sourced through wholesalers, cutting out the profits to the jeweler, diamonds can be a profitable investment. Purchasing diamonds for investment isn’t the same as purchasing a diamond for enjoyment. Let us guide you through how to determine which diamonds are the right to add to your portfolio and what questions to ask to get you the diamonds you’re looking for. We are duly authorized to issue professional replacement valuation certificates, for legal and insurance purposes. Your insurance may require one of these certificates to cover more valuable items, or they may be useful to establish value in matters of inheritance or other legal situations. The certificate will give details of the Rand value needed to replace an item, as well as the cost of reproducing an item (including raw materials, stones, manufacture, VAT and so on). We have three diamond graders in-house to issue a valuation certificate. These certificates could be used for insurance, inheritance or other legal matters. The certificate will give you a rand value and a replacement value. Our premises are ideally suited for private and secure consultations. Our free undercover parking bays are situated right next to the entrance for your convenience and ensuring your safety.